Can You Develop a Salvia Tolerance? 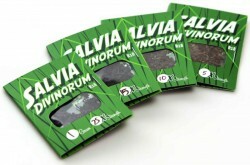 Home › Salvia Divinorum › Can You Develop a Salvia Tolerance? When a person uses salvia divinorum often they may develop a tolerance to its effects, meaning that they need to take more of it to feel them. This can have dangerous conseqeunces. Salvia (or salvia divinorum) is a dangerous substance, especially because its long-term effects are not as well known as those of other drugs of abuse and particularly other psychedelics. There is not much known about the use of salvia as a long-term drug abuse syndrome because there hasn’t been as much extensive research done on this issue as there has been on other drugs of abuse. However, there does seem to be a potential of a person becoming tolerant to the effects of salvia over time when compared with other similar psychedelics. If you are a long-time salvia abuser, you may want to consider whether or not you may be developing a tolerance to the drug itself. Salvia is a powerful psychedelic drug. According to the NIDA, “The psychological or physical health effects of salvia use have not been investigated systematically, and consequences of long-term use are not known.” This is an issue because the limited research on salvia abuse makes it more difficult to pinpoint how problematic long-term abuse of the drug actually is. And because salvia is a part of psychedelic drug class (which are sometimes used more or less interchangeably), there could also be an issue with the use of salvia among long-term psychedelic drug abusers. “Experiments in rodents demonstrated effects of slavinorin A on learning and memory, but there is little evidence of salvia causing dependence or long-term psychiatric problems in humans.” However, this does not mean that salvia cannot cause psychiatric problems or dependence in humans. There is also a possibility that it could cause tolerance as well, like many other psychedelic drugs do. Salvia is not as well-researched as it should be, partly because it is not a DEA scheduled drug like many other drugs of abuse (NIDA). Those drugs which do fall under the DEA’s scheduling are often more intensely researched, especially in their long-term effects. Also, because of this, salvia is not as well-known to the public, meaning there could be a lower demand for information. All in all, it is difficult to know for sure that someone is safe from developing a salvia tolerance, so the possibility of such in long-time abusers should be considered. As for other psychedelic drugs of abuse, tolerance can be a real issue. Many individuals find themselves becoming tolerant to drugs like LSD, peyote, psilocybin, and other psychedelic drugs. Even though LSD and many other psychedelics do not have a tendency to cause addiction in abusers, they do cause tolerance which can be problematic and lead to the abuse of higher doses of the drug in order to feel the same effects these individual felt before. Someone might even switch from one drug to another, hoping to feel those stronger effects again without knowing what kinds of issues the use of each type of drug entails or if they are taking too much of one type of drug. According to the NIH, “LSD users quickly develop a high degree of tolerance to the drug’s effects, such that repeated use requires increasingly larger doses to produce similar effects.” This can be dangerous, even with drugs like LSD that do not cause the harmful physical effects in high doses that other substances like opioids or alcohol do. A person who takes an extremely high dose of a psychedelic drug (salvia included) may become extremely disassociated from their surroundings and possibly do something dangerous. This is why tolerance is a heavy concern when it comes to psychedelic drug use. “Use of hallucinogenic drugs also produces tolerance to other drugs in this class, including psilocybin and mescaline.” This is called cross-tolerance and can mean that a a person could become tolerant to more than one psychedelic drug by using a specific drug. While “use of classic hallucinogens does not, however, produce tolerance to drugs that do not act directly in the same brain cell receptors,” there is still a possibility that a person can become tolerant to salvia without cross-tolerance from other drugs. While these receptors are different from those which are activated by opioid drugs, there is still a possibility that salvia can cause tolerance in long-term abuse the same way opioids do by causing the receptors it acts on to need more of the drug over time. This is a possible issue that, with more research, could be better understood. Am I Developing a Salvia Tolerance? Do I use salvia every day? Does my salvia use and experience feel different than it did when I first started taking the drug? Do I take more salvia than I did when I first started? Do I feel like, if I didn’t take more, I wouldn’t feel the effects as strongly as I want to or as I once did? Am I constantly hoping to feel the way I did the first time I took salvia? Am I considering switching to another drug with more intense effects because salvia no longer affects me the way I want it to? If you answered yes to the questions above, it is likely that you are developing a salvia tolerance. While many psychedelic drugs do not cause addiction, tolerance and cross-tolerance is common, especially in those who use constantly. While research is scarce, it seems likely that developing a salvia tolerance is possible.